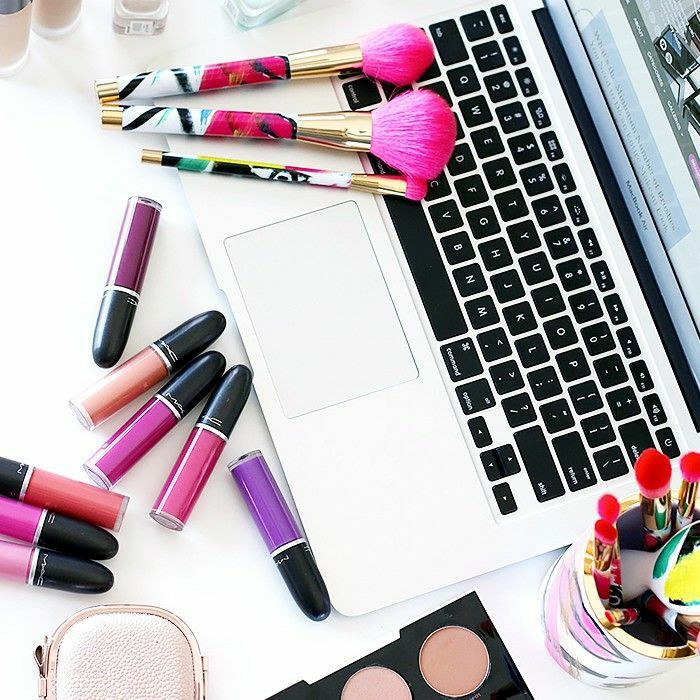 Beauty lovers tend to look in the same traditional places for tips, news, and inspiration. There are magazines and sites like Byrdie, as well as blogs and social media accounts. But recently, the best, most insider-y beauty knowledge I’ve encountered has come from a deeply unexpected source. In fact, it’s not just unexpected, it’s top secret. Literally. At first, I approached the group with skepticism. It seemed silly: virtual strangers exchanging beauty tips? What’s the point? We have Pinterest for that. But within a few hours of scrolling through the bustling discussion board, my skepticism dissolved. The group’s description beckons its 4900 members to post “anything beauty, fashion, or style related.” You’d think this would be a recipe for anarchy, spam, and self-promotion. But take a quick scroll down the page, and you’ll find an impressive array of eclectic, fascinating content: photos of unique and skillfully executed makeup looks, new product recommendations, links to relevant articles, cautionary tales about certain products, and more. There is a strict no-spam policy, and people respect it. For hours, I found myself admiring members’ posts and the supportive responses roll in. I watched as people bragged about a new look or asked an embarrassing question and didn’t receive an ounce of judgment. Soon it became clear that this group isn’t just a cliquey Pinterest alternative; it’s a safe space for a diverse community to geek out together about beauty. (I even came across a few celebrity members, whom, again, I won’t reveal out of respect.) I know, I know, I sound like a convert to a cult. But I promise I was the most surprised of anyone to discover that this Facebook group is a beautiful thing. Furthermore, it’s informative. As a beauty editor, I tend to think I’m ahead of most trends. But the eclectic, fast-paced nature of this group allows under-the-radar beauty news and products to spread like wildfire. In the weeks since I’ve been a member, I’ve acquired a wealth of new beauty knowledge. Curious to find out how a secret Facebook group rocked my beauty game? If so, keep reading. Nearly every day since I’ve joined the group, a member has posted a selfie of her attempt at creating faux freckles with makeup. This charming, slightly kitschy trend started picking up speed last year, after it was seen on the runways and on Instagram stars, including Chantel Jeffries and Kendall Jenner. If the group is any indication, this trend is only going to get bigger. (Read more about the faux-freckle trend here). You might think a group called “Beauty and Style Friendship Club” would be girls only—at least that was my initial assumption. But boy (oh boy), was I mistaken. Some of the most stunning makeup inspo I see on the group’s discussion board each day are from talented androgynous dudes like 16-year-old James Charles, as seen in the photo above. (There go those faux freckles again!) You simply must scroll through his Instagram; it’s dazzling. Witnessing beauty looks from people all across the gender spectrum has been a refreshing reminder of how artistic and expressive makeup can be. I thank the group’s diverse, supportive nature for making this possible. L.A.’s artsy makeup brand Colourpop almost seems too good to be true. 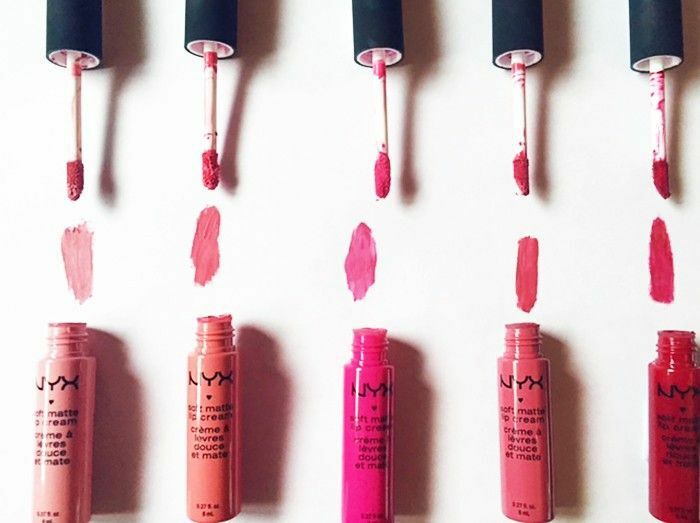 The brand’s liquid lipsticks and eye shadows are high-impact, long-lasting, and jaw-droppingly cheap. 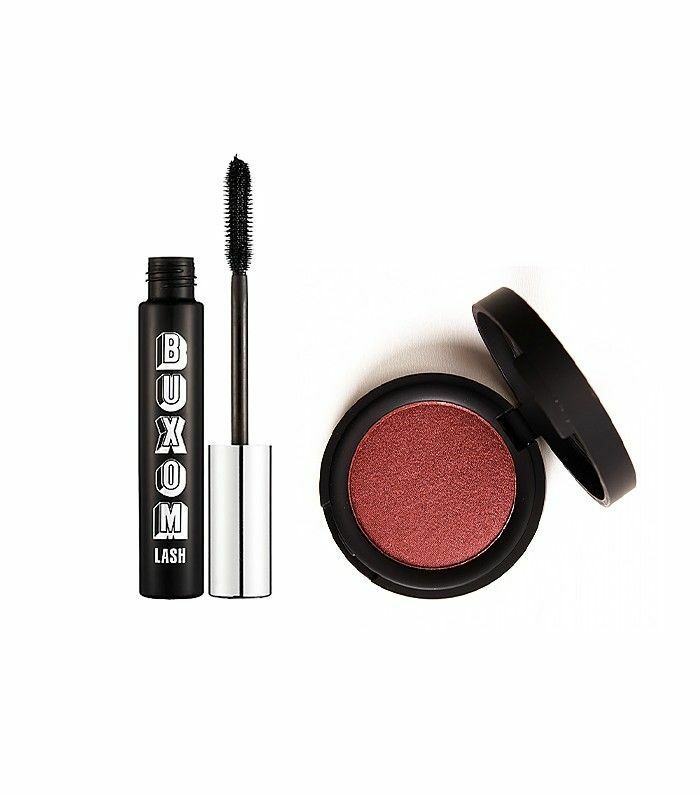 What’s especially great about the brand is that even though its prices are low, the range feels notably more creative and boutique-y than most drugstore cosmetics. And according to our trusty Facebook group, that doesn’t go unnoticed. Some of the most innovative looks posted every day are created with Colourpop products. Bottom line? Beauty lovers of the internet have spoken, and Colourpop is their collective fave. During one particularly deep binge of this Facebook group, I came across a thread started by a women voicing concerns about her belly button. Nope, not her belly—her belly button. The woman lamented that her belly button was too large and horizontal for her liking, and that it was visible through clothes. This made her feel self-conscious, and she asked the group if anyone else felt the same. Truthfully, I’ve never thought about the attractiveness of my belly button. But dozens of other members flocked to the post, swapping photos, laughs, and sob stories about their own belly button anxieties. (Some belly buttons were very deep, very shallow, or uniquely shaped—the variety was impressive.) I’d never seen so many strangers’ belly buttons in my life. But it was cool to watch this camaraderie develop. It reassured everyone in the thread that they weren’t alone. Plus, it reminded the rest of us of how diverse people’s insecurities can be. Kylie’s internet-breaking Lip Kit is a major topic of discussion in this Facebook group. Of course, not everyone was able to get their hands on one. But put almost 5000 makeup junkies in one secret group, and you’ll find a way around that. The consensus? The best Kylie dupe on the market is this one by Nyx, which you can pick up for $6 at Ulta. The product is highly pigmented, velvety smooth, and nowhere near as drying as Kylie’s. Want more Kylie Lip Kit dupes? We approve of these six. Have you heard of Powder & Pandemonium’s false lashes? Or Ka’oir Cosmetics’s Kashmir Matte Liquid Lipsticks? What about OnyxBox, a beauty subscription box created specifically for women of color? I heard about all these awesome boutique products from members of this unfailing group. Every time I start to think I’ve heard of every brand, they prove me wrong. For something a little less joyful but no less important, this group has gives great advice about products to avoid. I think we can all agree that mascara fallout is annoying, but according to the group, it can also be unsanitary. One user posted a cautionary tale (with photos!) about mascara fallout giving her a nasty eye infection. I’m not much of a germophobe, but this was enough to send my fallout-heavy eye makeup products straight to the trash. Rest assured, the mascara above is absolutely fallout free, as is Kat Von D’s Metal Crush Eyeshadow ($21). Well, fallout-free color, anyway. Really though, if this secret Facebook group has taught me anything, it’s that beauty is meant to be playful. Now, I love me some no-makeup makeup and neutral blond hair. And recently, that’s been my go-to look. But these new digital friends and muses helped reunite my love of color. Last weekend, I sported temporary teal tips and glitter all over my face. Today, I’m wearing giant (symmetrical!) winged eyeliner. And I have this vibrant group to thank. Want more underground beauty secrets? Check out my 100% free secret to getting glowy skin.